GREEN bonds have cast a patina of credibility on financial markets especially following the meltdown of trust in 2008. But more than a decade since the first issue was launched by the European Investment Bank, the question remains. Are they more hype than hope today? To be sure, the market has had an explosive growth with the total value of new issues hitting US$155 billion at the end of 2017 from US$12 billion five years earlier, according to data from Moody’s Investors Service. The agency predicts that the market could reach US$250 billion by the end of 2018 although others such as SEB, the Nordic bank, suggests it will be a year of consolidation with total issuance to reach US$175 billion and with the possibility to surprise to the upside of up to US$210 billion. In particular, Asian issuers have been active in the market with Chinese and Indian names raising US$53 billion since the inception of the green bond market in 2007. Last year, Chinese bank ICBC issued a US$2.15 billion equivalent multi-tranche dual currency green bond – one of the largest green bonds in Asia in 2017. Already in 2018, the likes of Swire Properties in Hong Kong, which launched a US$500 million green bond, and the Republic of Indonesia with its US$1.65 billion green sukuk (Islamic bond), the market looks likely to keep up a modest pace of growth. This is all well and good except that issuing green bonds is still seen in some quarters as marketing fund-raising events for now, rather than reflective of a market that has truly evolved. For example, green bonds are supposed to diversify the investor base by attracting funds that are dedicated to climate or other environmental sustainability objectives. While asset owners are moving swiftly in that direction with dedicated mandates, the majority of investors in green bonds do not have such a requirement. And then there is the matter of pricing. Can green bond issuers achieve an advantage perhaps to compensate for the extra work and deeper dialogue that often now accompany the issuing of green bonds? The answer today is probably not. To the CFOs and treasurers applying sharp pencils to financial considerations, the answer is not obvious. This puts the onus on green certification agencies to provide greater clarity as more green bonds come to the market in the years to come. Not unlike credit rating agencies, if the green equivalent gets the right tone, they could help investors differentiate one shade of green from another. As more dedicated funds with ESG principles are launched, these agencies can provide the data and analytics that eventually lead to pricing differentiation. Issuers are incentivized to focus on green not only for the marketing value but more importantly to achieve an economic advantage, starting a virtuous cycle of change. In the world of green bonds, there exists no centralized organization to act as gatekeeper to decide who gets to call their green bond green. Although issuers may claim adherence to a standard, such as the Green Bond Principles (GBP), different standards are cited in different regions, and adherence is self-certified. Under the People’s Bank of China guidelines, green bonds can even support clean coal projects, something most green bond experts would disagree with. This de facto self-certification practice has given rise to third-party green certification agencies. They provide a second opinion and assign a score to reflect the issuance’s green credentials not unlike rating agencies that assign scores to reflect the strength of a credit. The process behind such second opinions is important not only given the prevailing cynical counter views of green bonds, but also because it helps investors develop their own internal metrics to help validate whether a green bond is legitimate, or in other words has a proper framework to funnel proceeds to ESG (Environmental, Social and Governance) related projects or assets. But what is their approach to analyzing a bond? Is it robust or loud enough to matter? In exclusive interviews, The Asset met with two of the most active providers: Sustainalytics, which has its headquarters in Amsterdam, and Cicero (Center for International Climate Research), which is based in Oslo to probe them on their approach to green certification, comparing and contrasting their approaches. For Trisha Taneja, head of sustainable bonds, Americas and Asia-Pacific at Sustainalytics, it’s all about looking at whether the bond can ultimately provide a net positive impact. “It’s about looking if the assets are impactful or are contributing to our transition to a low carbon economy,” she shares. “We look at if there are any environmental or social risks with the assets. Looking at whether there is any unintentional negative impact, and if so, the processes for mitigating the risks. We also look to see that the green bond issue contributes to the issuer’s overall environmental strategy.” It was this method that Sustainalytics used as a basis when it evaluated Link Reit’s US$500 million green bond, the first such bond in the Hong Kong market. It’s a similar approach for Cicero. “We have the shades of green methodology, which is a relative rating of how well a green bond contributes to a low carbon and climate resilient society,” explains Christa Clapp, research director at Cicero. However, rather than awarding an absolute green certification, Cicero has various classifications of bonds based on dark, medium and light green. According to Clapp, a dark green bond would be assets that have a “transformational shift towards zero carbon, so it’s essentially the type of projects that are already sending us into the future to be able to be zero carbon,” she explains. On the other hand, a light green rating under Cicero’s classification is awarded to those projects that have made efforts to reduce emissions but are not necessarily free of negative components, such as fossil fuels. For Clapp, it’s important for their metrics that a company demonstrates a plan to become less carbon intensive. In terms of sources of inspiration, both firms cite ICMA’s (International Capital Market Association) GBPs as an important foundation for their decision-making process. Updated typically once a year, the GBPs are voluntary guidelines crafted by the financial community, including banks and investors, that give issuers a framework in which to issue green bonds. Though useful for the issuer community, the guidelines have been cited for not necessarily addressing the finer environmental impact details. While the green bond market has had explosive growth, there are still some factors that are nonetheless holding companies back from going down the sustainable route. One area that can turn some issuers off at first is getting a verification from likes of Cicero of Sustainalytics. Though it may seem daunting at first, both Cicero and Sustainalytics claim that the process is relatively straightforward and takes approximately a month and a half to verify a company’s green bond. “We do a draft review, then we do the conference call or a face-to-face meeting. We get our questions answered, then we give a final report,” says Clapp. The Monetary Authority of Singapore (MAS) introduced its green bond grant scheme last year aimed at reducing the costs associated with getting reviewed. Under the MAS scheme, costs incurred by the issuer in relation to getting green verification are reimbursable subject to a cap of S$100,000 (US$76,400). Shortly after the grant was introduced, Singapore saw its first green bond when City Developments Limited tapped the market for S$100 million. Though both Clapp and Taneja agree that there is no clear pricing benefit for companies issuing a green bond, they mutually stress that diversification of investors should be something issuers should consider when executing their green bond. “Without getting a premium, what they are getting is a diversified collection of investors. That is something that the IFC and the World Bank are saying about their own green bond issues. You can get more responsible investors or even some of the large Scandinavian pension funds,” highlights Clapp. For interested companies preparing for their debut green bond, first, there should be a set framework of how the company plans to be more sustainable in the future. “For a light green rating the company needs to have a clear plan or targets on how they are going to reduce their carbon footprint,” says Clapp. However, this lack of corporate ESG goals may change soon as governments push for additional sustainable reporting. 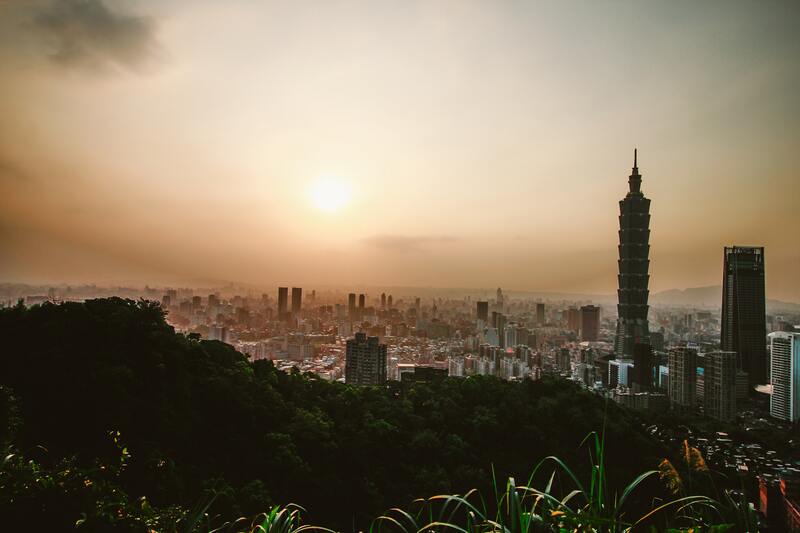 For example, the Taiwan stock exchange has encouraged listed companies to be more transparent about their ESG activities. Other advice for potential issuers includes self-education about the green bond process and referring to the GBPs. “I would highly encourage an issuer to talk to a market participant because when you are looking at it from the outside, the prospect of issuing a green bond could seem daunting. It can make them understand the process a little bit better,” Taneja recommends. Notching up another year of impressive growth the green bond market still has more pockets of opportunities, particularly in the financing of infrastructure and real estate projects. Just at the beginning of the year the Hong Kong government announced that it would be launching a HK$100 billion (US$12.74 billion) green bond programme for public works projects including infrastructure. Taneja suggests that issuers with a sustainable mindset should look beyond just green bonds into area such as social bonds or sustainability bonds. “It opens up more of the project selection process for issuers and gives them the flexibility to choose different types of projects,” she says. The market for second-opinion analysis of green bonds will likely continue to grow and its methods refined on the back of the growth of the green bond market. However, whether it will be enough to bring legitimacy to an asset class often seen as a zeitgeist marketing strategy, it will depend on these certification agencies winning the views of issuers and the growing ranks of ESG investors.